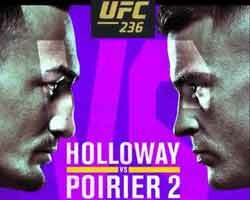 Mma videos, news, results and all the best free mma fights! Review: 2011-05-29, the fight between Joachim Hansen and Mitsuhiro Ishida was the best fight of “Dream – Fight for Japan”. Hansen (21-10-1) defeated Ishida (20-6-1) by split decision after 15 minutes of good action (for both was the first match of 2011). Watch the video! Review: 2011-05-29, fifth consecutive victory for Shinya Aoki that defeated Rich Clementi by submission (face crank) in the second round. This was the main fight of the mma event “Dream – Fight for Japan” but it was not very exciting. Watch the video! Review: 2011-06-04, low pace and little action in the fight Chris Cope vs Chuck O’Neil, probably the most boring fight of The Ultimate Fighter 13 Finale (TUF 13). Chris Cope defeated Chuck O’Neil by unanimous decision. Watch the video. Review: 2011-06-04, the fight between Kyle Kingsbury and Fabio Maldonado was not very exciting. Kingsbury defeated Maldonado by unanimous decision (The Ultimate Fighter 13 Finale, TUF 13). Watch the video! Review: 2011-06-04, in just 48 seconds Ed Herman knocked Tim Credeur out during The Ultimate Fighter 13 Finale (TUF 13). Watch the video! Review: 2011-06-04, Clay Guida vs Anthony Pettis was the best fight of the mma event The Ultimate Fighter 13 Finale (TUF 13). Clay Guida defeated Anthony Pettis by unanimous decision after three rounds fought at a good pace. Watch the video! Review: 2011-06-04, good KO victory for Tony Ferguson that defeated Ramsey Nijem in the first round, but it is not enough for our 3 stars. The fight between Tony Ferguson and Ramsey Nijem was the welterweight final of The Ultimate Fighter 13 (TUF 13). Watch the video! 2011 MMA fight – Newman vs Tredowski – Video CWFC 42 – 10sec KO! Review: 2011-05-28, in just 10 seconds Tim Newman knocked Grzegorz Tredowski out with an impressive left hook (during the CWFC 42 – Cage Warriors Fighting Championship 42). Watch the video! Review: 2011-05-28, the fight between Siyar Bahadurzada and Tommy Depret was the best fight of the Glory World Series, held in Moscow. Bahadurzada defeated Depret by TKO and won the final of the MMA Glory World Series (welterweight division) after a really tough battle. Watch the video! Review: 2011-05-28, Tim Boetsch dominated Kendall Grove, but the fight was not very exciting: 2 stars. (UFC 130 – Rampage vs Hamill) Watch the video!